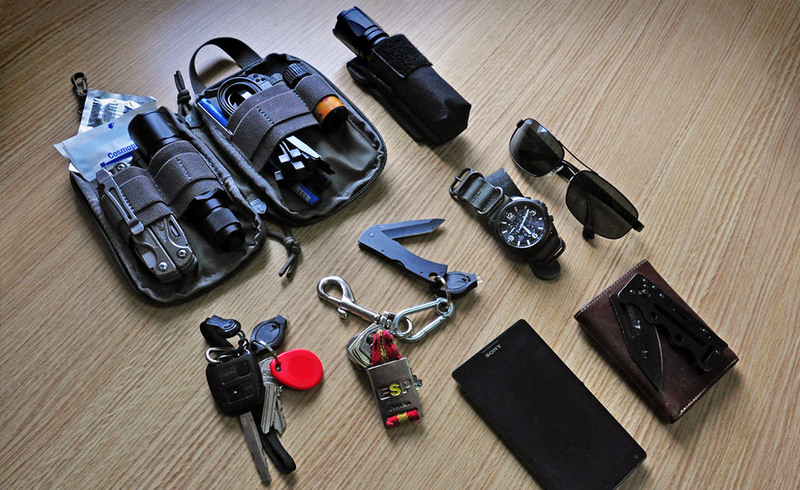 Every Day Carry for Today’s World- Part 4, by N.M. If civil unrest escalates to the use of edged weapons, cross bows, or firearms, then body armor may be an option. Concealed armor is usually level 3A and would protect from most handgun rounds and some knives, particularly with slashing motions; it is also easy to wear without being detected. However, it will not protect from sharp projectiles but might reduce their impact. If you are hit with a baseball bat, soft armor does diffuse the impact and may give you a chance. (I’ve been hit across the back with pool cues and hardly felt it, much to the surprise of the person swinging it.) Plates and carriers protect from much more; however, they are not easy to conceal, especially in the summer, when wearing a large coat is not an option. Of course, you have to also consider the extra weight you would be carrying. While cell phones were previously mentioned, you should have another communication plan. Develop a communications plan8 and get radios for every member of your family. Plan that the cell phone system will go down, be overloaded, or be deliberately blocked. Have a portable/hand-held radio. Have a plan with your family and other members of your community group. Use frequencies that are less used, such as the 220mhz Ham band. (Get a Ham license9). The BTECH UV-5×3 works on the GMRS and FRS frequencies, as well as the VHF and UHF Ham bands, including the 220mhz band. The common FRS and GMRS frequencies should not be part of your plan. Depending on where you live, you might consider setting up your own GMRS repeater; their frequencies are not in the “off the shelf” radios. GMRS repeaters can be found fairly inexpensively, as commercial users were required to go to narrow banding and there is a lot of surplus equipment that can be re-tuned to GMRS frequencies. This will provide you communications over a longer distance. While codes cannot be used on Ham or GMRS/FRS frequencies, there are ways to phrase something that only those in your group know. For example, “Get a loaf of bread and a jar of pickles on the way home,” can mean whatever you want it to mean, such as “It’s time to get out of Dodge.” If you are with a group and/or your family, do everything to try and stay together. Plan a meeting place, or several, in case you are separated and keep in contact via radio. (Use the ear piece with the radio and keep the radio protected in a pocket.) Refer to the meeting locations as a person’s name, so you can say “Meet at John’s” rather than a physical location. Carrying a first aid kit, or individual first aid kit (IFAK), should already be part of your daily carry. IFAK’s are designed to carry items to treat immediate threats to life. I also carry a tourniquet in the pocket of my cargo pants; others I know carry them on their belt. In addition to an IFAK attached to my back pack, I also have a small kit to take care of minor wounds. It contains adhesive bandages, some hemostatic sponges (4”x4”), which are great for scalp wounds that tend to bleed a lot, and a few other items. Rescue-Essentials.com is a great source for kits, and they will make kits to suit your needs. A great starter IFAK is the one they put together for Oath Keepers (http://www.rescue-essentials.com/oath-keepers-cpt-ifak/). Get medical training. I don’t mean a basic first aid class; I mean a class that will teach you in-depth skills for the severe life threats. The Oath Keepers CPT Medical 1 class is a focused class on dealing with traumatic injuries; contact your state Oath Keepers training coordinator to locate a class. “The ultimate achievement is to defeat the enemy without even coming to battle.” Sun Tzu. If all your attempts to avoid, evade, and escape the conflict have failed, you may be forced to use lethal force. Before doing so, make sure you have no other options. To deploy lethal force in your home is one thing; doing so in the street is entirely different. Make sure you know the rules for lethal force for your area. I suggest conceal carry, so that you do not give the enemy any advantage of knowing you are armed. I also suggest a holster with a retention system. Should you be knocked unconscious and they discover your firearm, you want to make it as difficult as possible for them to get a hold of it. If you carry, you had better be carrying at least one, if not two, additional magazines. You must be familiar with your weapon and how to operate it under stress and without looking. Search for instructors that can provide you this training. Practice blindfolded with an empty weapon. That includes making sure there are no loaded magazines in the same room. If it comes to a severe life threatening situation, make sure you give a loud and clear warning, if the situation allows. You do not want to shoot into a crowd; you need to neutralize the imminent threat to you and only that threat. If at all possible, take a knee so you are shooting upwards, so if a bullet goes through your target it is less likely to hit someone else behind them. Remember the rules of firearms; “be aware of your target and what is behind it.” (This is the most forgotten rule.) Be aware of your surroundings. This is not the range; this is a street, and a 360-degree awareness must be maintained. Don’t forget to watch above you, too. Urban terrain is the most dangerous terrain to fight in due to the fact that it is perfect for ambushes and snipers. If the crowd disperses, wait for law enforcement and follow their directions. Make sure your weapon is holstered before they arrive, or if it is in your hand place it on the ground. Be aware of where your muzzle is at all times, and never point it towards any law enforcement. I strongly suggest you have some kind of insurance that provides coverage in the case of a shooting; make sure it covers lawyers and other fees, such as bail, up front. Most of us cannot afford the legal costs to defend ourselves, even if we are completely justified and innocent. The purpose of this article was to make you more aware and to help you consider options that you may not have before. As I mentioned at the beginning, check your local laws and be aware of the places you have to go and any security considerations. These techniques work for a situation where there is an active shooter or protests that you might unexpectedly get caught up in. Remember, your life could be in danger. Keep your head on a swivel, and watch your six. ACM IV Security Services. Surveillance Countermeasures: A Serious Guide to Detecting, Evading, and Elluding Threats to Personal Security. Palidin Press, 1994. Algaier, Laura and William E. Clark. Surveillance Detection: The Art of Prevention. Cradle Press, 2005.
Cooper, Jeff. Principles of Personal Defense. Paladin Press, n.d.
Culper, Samuel. 03 FEB 17 – “Executive Intelligence Summary”. n.d.
—. “Security: A Primer for Freedom Fighters. Forward Observer Press”, 2013. —. “SHTF Intelligence: An Intellegience Analyst’s Guide To Community Security”. Forward Observer Press, 2015. Heuer, Richard J. and Randolph H. Pherson. Structured Analytics Techniques for Intelligence Analysis. 2nd. CQ Press, 2015. Jenkins, Peter. Surveillance Tradecraft: The Professional’s Guide to Covert Surveillance Training. Intel Publishing, 2010. Mosby, John. The Reluctant Partisan, Vol 1: The Guerrilla. Idaho: Warhammer Six Press, n.d.
—. The Reluctant Partisan, Vol 2: The Underground. Idaho: Warhammer Six Press, n.d.
Navy, Department of the. MCWP 2-6: Counterintelligence. 07: 13, 2014. NavyJack. “https://www.oathkeepers.org/navyjack-defending-freedom-of-speech/.” 5 Feb 2017. Oath Keepers. NM. 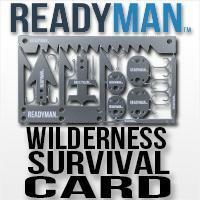 “https://survivalblog.com/communications-for-when-shtf-by-n-m/.” 25 Sep 2014. —. “https://survivalblog.com/developing-a-communications-plan-for-your-group-by-n-m/.” 8 Dec 2015. —. “https://survivalblog.com/how-to-obtain-your-amateur-radio-license-by-n-m/.” 20 Aug 2015. Oakley, Nancy. https://www.oathkeepers.org/former-nazi-george-soros-now-connected-every-major-protest-since-november-election/. 4 02 2017. 05 02 2017. Taylor, Peter. The Thirty-Six Stratagems: A Modern Interpretation Of A Strategy Classic, 2013. Tzu, Sun. The Art of War, translation by James Trapp. Chartwell Books, n.d.
Xuanming, Wang. 36 Stratagems: Secret Art of War, 2003.